Genetic Genealogy Ireland: John Creer - How DNA testing and analysis has transformed the knowledge of a Manx family’s history – so far! John Creer - How DNA testing and analysis has transformed the knowledge of a Manx family’s history – so far! Day Job - I am a retired pharmaceutical company director with a science background. I live in Cheshire, but my paternal family line comes from the Isle of Man. In the 1500’s the family name was McCrere. What is your involvement with genetic genealogy? 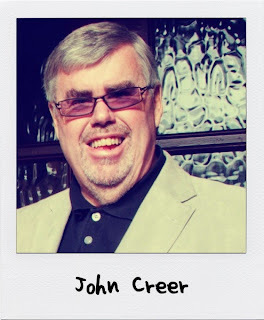 I am the coordinator of the Creer One-Name study as well as the Creer Y-DNA and Manx Y-DNA projects, and have been using DNA testing and analysis in support of my family history interests since 2005. The presentation will illustrate my personal journey of discovery into my own Manx family history and show how the use of several types of DNA testing and analysis (Y-DNA and autosomal) have answered questions and solved problems, that the conventional paper sources and records available could not! The talk will conclude by looking forward to the new levels of understanding into our families’ past that are being gained through Y-SNP testing, with specific reference to the Creer and Manx Y-DNA studies. This may, in time, reveal more about the shared earlier Celtic (and Viking?) history of the Irish and Manx people. What DNA tests will you be discussing? John Creer is the first person to complete a Y-DNA project. Having exhausted all documentary resources, John turned to Y-DNA to help him break through the Brick Wall he had with his Creer line, and when that didn't provide the answer, autosomal DNA did. In so doing, John has traced the genetic ancestry of every Creer alive today. Presented at Genetic Genealogy Ireland 2013 on Sunday 20th Oct 2013. Please note that these GGI2013 videos are copyrighted to the presenter and should only be used for personal study. They are not to be used for any other purpose without the presenters express permission. Also, please note that because this is a rapidly advancing field, the content may quickly become outdated.